When was the last time your company smelled like team spirit – employees surging with synergy, workflow streaming steady, and productivity flying high? If that’s been an all too rare occurrence in your office, something is standing in the way of this workplace euphoria – and it could be your coffee station. In our last post, we discussed the tremendous, transformational impacts coffee has on your employees – and how a premium coffee service amplifies those impacts. In most offices, the coffee station is the first stop for incoming employees. Before they begin socializing, and long before they begin working, employees auto-pilot their way over to the kitchen, where the sweet scents of java warm their insides. As more people filter in, and grab their morning mochas, the office transforms. What was once a still, dreary room of silence is now alive with a booming buzz of celestial energy. In the 1800s, many Americans worked seventy hours or more per week. Even into the early 1900’s, specifically around the Great Depression, many would work 40 hours and then clock out and work another 4-5 hours for free just to keep their job. Thankfully, those tough times are in the rear view mirror, but still the number of hours Americans workers put in, on average, is just shy of 50 hours a week. That is a lot of hours. Surprisingly, just because we work more hours does not make us more productive according to a Gallup survey. So, how do we get our edge back? Without coffee even the best office can turn into a crisis center, complete with employees dozing off at their desk, falling asleep in meetings with clients, and much worse. However, getting that revitalizing cup of joe isn’t always simple. Many companies with 10+ employees have a office coffee delivery service, which brings the coffee, machines, and coffee fixings directly to your cubicle. If you have a good office coffee service provider, they will even maintain and clean your coffee machines as a part of the deal. The cost of the raw coffee bean increasing is about to hit home strongly. Keurig Green Mountain has announced an increase on their popular K-cups and other coffee of up to 9% as of November 3! So what does this mean for your office coffee service and/or your current coffee prices? In the past, the coffee station at a typical office consisted of regular coffee, decaf coffee, tea and maybe hot chocolate if you were lucky. There were no Interactive Cup™ Brewers 5 years ago so whatever the office manager ordered, the employees were stuck with. However, thankfully, times have changed and now employees can preapre their favorite caffiene beverage with an array of choices and choices and flavors without ever leaving the office. With the cost of an average cup of coffee soaring at over $1.85 (just for a tall coffee at your local corporate coffee shack), having a coffee setup at the office provides another type of employee benefit much like a company cellphone. However, an old school, single coffee pot, single falvor, stale coffee staion isn’t exactly going to convience employees to stick around for a coffee break in the office. If you do the math, at $1.85 a day for an average of 20 work days a month it comes out to $37.00 a month spent on coffee which is assuming you only get a tall plain coffee once a day. Offering an alternative to the outdated coffee station can be a huge costs savings to both the employee and the employer. As the love for coffee has evolved so has the variety of choices to add to make your cup of joe just the way you like it. The traditional coffee station at the office has transitioned in many work places to a coffee bar with endless possibilities to make your coffee or hot beverage. Now a coffee bar may not sway a new hire in choosing your company over another, but it certainly sends a message that your company cares about its employees and their happiness. The list goes on and unfortunately the only real way to find out if that coffee was decaf or regular was to wait an hour or so and see if on of your co-workers fall asleep at their desk or decided to take a pre-brunch a jog around the office building. Now lets not kid ourselves, some of these problems still persist today, but not from a lack of technology, but more so a lack of vision for the future. The first great break through showed us the light: single cup coffee. Now it’s time for the next generation of choices for the office. Machines available today meet the needs of today’s hot beverage needs including Cappuccinos’, Latte’s, Mochaccino and Espressos to name a few. All have the capabilities of brewing your perfect cup of awesome coffee in mere seconds. The tastes of these coffees are exceeding anything in the past but lets not forget the connivance factor here. Yes we love coffee, so much that we are willing to drag our sleep laden eyes over to the coffee bar and commence in the cruel and unusual dance of adding water to our coffee pot, digging through boxes of lame, unflavored beans, finding filters (which are always gone), picking yesterdays grinds out of the pot just so we can rip open the coffee package( which 7 out of 10 times ends up pouring all over the office floor), all so we can nab some “go go juice” to help us get through our morning meetings. What if mornings at the office coffee station could be different? What if you had the power to create an exceptional office coffee service for your entire company? Would you take the plunge into creating a better work environment? Would you take the hand of technology and say “lets go on an awesome coffee adventure” without ever having to leave your building? The question now becomes, is your team fueled and focused on the job at hand or are they currently wasting time in the office community kitchen fiddling with ground bags of flavorless beans, chasing down filters, cleaning pots and de-scaling your coffee pot? You need an office coffee service provider that not only delivers the best machines but also knows the best ways of setting up your office coffee station for maximum caffeine enjoyment and fun. 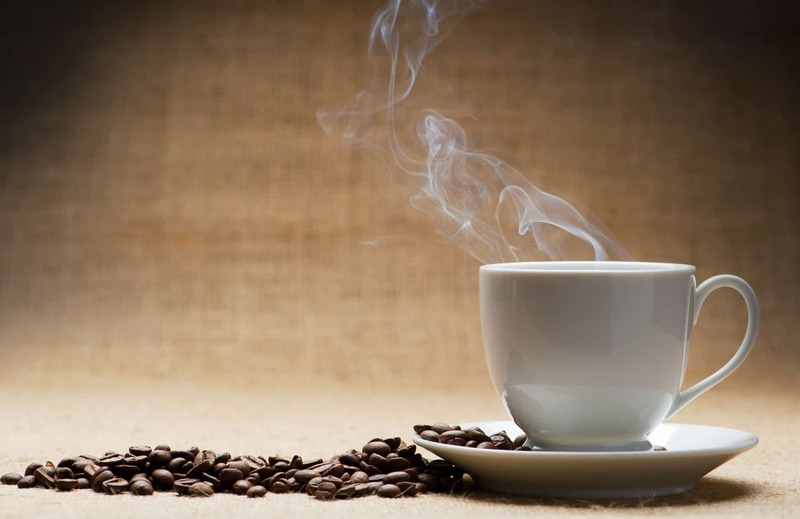 Last week, our Java Geniuses presented you with a slew of common coffee misconceptions. 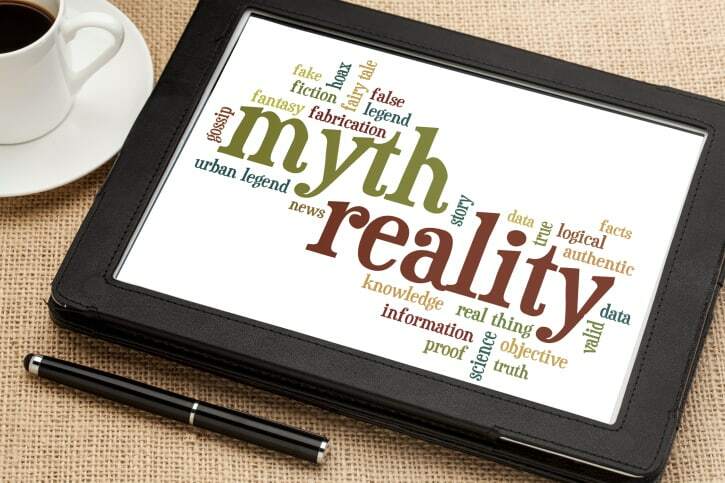 How do these myths impact your coffee service? Well, if your years in the customer service industry have taught you anything, it’s that a well-angled news story makes for a relentless riot of inquisitive customers. It is a responsibility you inherit with business management – explaining any rumors that arise regarding your product. This assures the safety and satisfaction of all your customers. So, with that being said, here are two more common coffee myths that, we believe, require proper clarification from a professional brewer. If you have a sign by your dark roast coffee that claims “stronger caffeine content,” take it down. It is a common misconception that gourmet coffee roasted to a darker degree is stronger, and therefore contains higher caffeine content. In fact, dark roast coffee contains less caffeine than lighter roasts – the roasting process burns off beans’ original caffeine content. Headlines like these sometimes amuse you, but, as a provider of coffee services, they also scare you. Your business serves hundreds of coffee drinkers every day. When they see a news headline about coffee, whether its legitimate fact or media fabrication, they want answers. It’s your job, as a company who provides a coffee service, to give those answers. If you can’t, you look unprofessional, and your customers soon flock to a differentcoffee watering hole. Customer service is important to you. You want to be able to answer all customer concerns, but cracking coffee myths isn’t exactly your specialty. It requires some high-energy brain cells and expert knowledge. Let our Java Geniuses help you out. Below are some highly debated caffeine-related news reports, our genius take on them – and the cold, hard proof to back it up. Coffee, along with most other caffeinated drinks, does not disrupt your body’s natural balance of fluids, despite popular belief. Caffeine is a diuretic, (it promotes urination) which leads people to believe it aids in dehydration. But don’t forget: half your coffee is water. Black coffee is made up of 95% water. With an h20 concentration that high, coffee is incapable of dehydrating. It actually does the opposite. Don’t believe us?